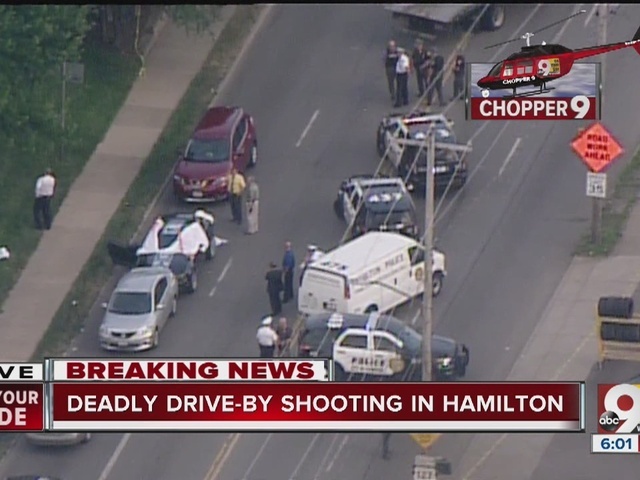 HAMILTON, Ohio -- The two drive-by killings in Hamilton Wednesday probably are connected to the fatal shooting at a Hamilton bar last week, police Capt. Marc McManus said Thursday afternoon. Police are still investigating that tie, McManus said at a news briefing, but he said the two victims were clearly targeted. One of them, 25-year-old Orlando Gilbert, was also hurt in the shooting at Doubles Bar last week. Police identified the other victim as 25-year-old Tony Berus. Both were from Hamilton. Butler County Prosecutor Michael Gmoser indicated he would seek the death penalty against three out-of-town suspects arrested after a high-speed chase. 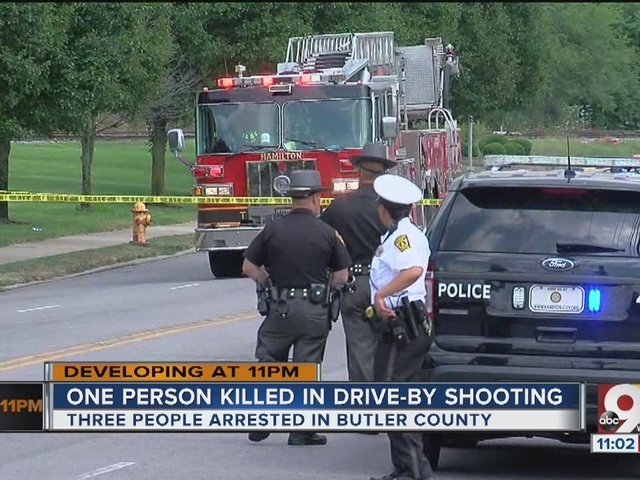 He called the shootings "assassinations" and "executions" and said cold-blooded killings wouldn't be tolerated in Butler County. "The city of Hamilton and Butler County will not succumb or be a place for a culture of violence or a culture of lawlessness," Gmoser said. Zachary Harris, 24, of Columbus, is charged with two counts of premeditated, aggravated murder. Melinda Ann Gibby, 35, of Lancaster, and Tony Patete, 23, of Newark, are each charged with two counts of aggravated murder. "They had one mind and that mind was to assassinate an individual - to execute an individual - and therein lies the charge of aggravated murder - to purposely take a life with prior calculation and design which is fundamental to a charge of aggravated murder," Gmoser said. All three suspects were in court Thursday morning; they're being held at the Butler County jail without bail. 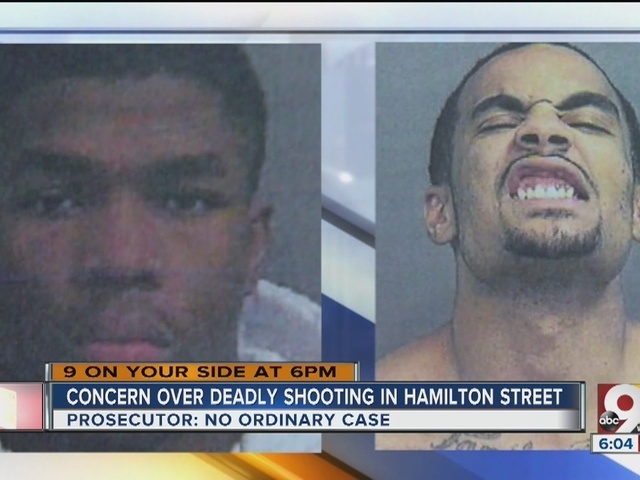 Gmoser acknowledged it was a brazen shooting committed in broad daylight on busy Central Avenue, but he disputed the notion that gun violence is out of control in Hamilton. He praised the combination of law enforcement teamwork and citizens' tips that produced quick arrests after the suspects fled the scene. The three suspects were in the same car at the time of the attack, but split up and ran after a chase and several crashes, according to police. "That ought to give pause for anybody that thinks they can come and ply their activities in this manner in Butler County," Gmoser said. 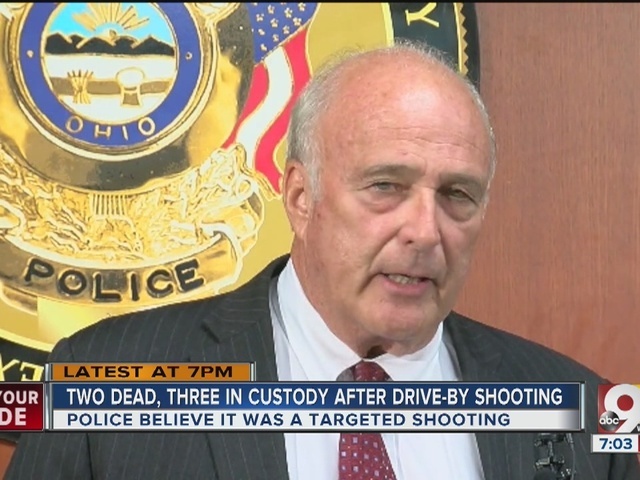 "I’m very proud of what’s happened with respect to that part of the case - not so proud of the fact that they thought they could pull that off in Butler County and get away with it, but very proud of what happened with the police work involved." Gmoser said he was grateful to the people who called 911 with information about the suspects and the getaway car. That was in contrast to the lack of cooperation after the Doubles shooting, he said. Gmoser says it's been hard to make a connection between Wednesday's shooting and the Doubles shooting because nobody at Doubles is willing to talk. "You've got 200 people approximately in that Doubles place and all 200 people couldn't be in the bathroom at once," he said. Wednesday' shooting took place at about 2:30 p.m., only moments after the community gathered for the funeral of Kalif Goens, the 22-year-old victim at Doubles . Kalif Goens' younger brother, Mondale, was arrested and charged with murder and two counts of felonious assault. 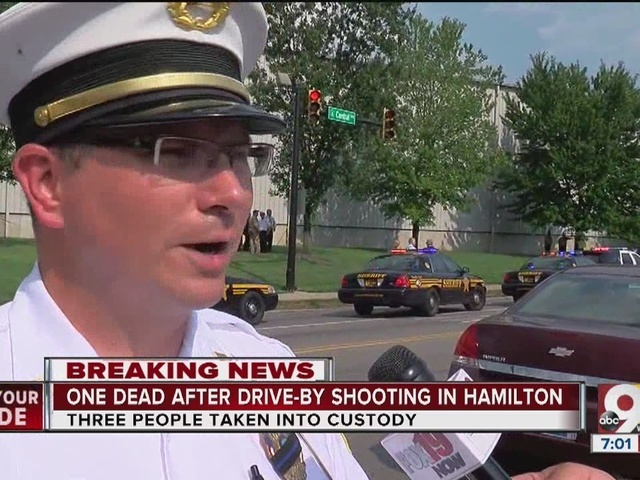 Three other family members were shot at Doubles on July 25. 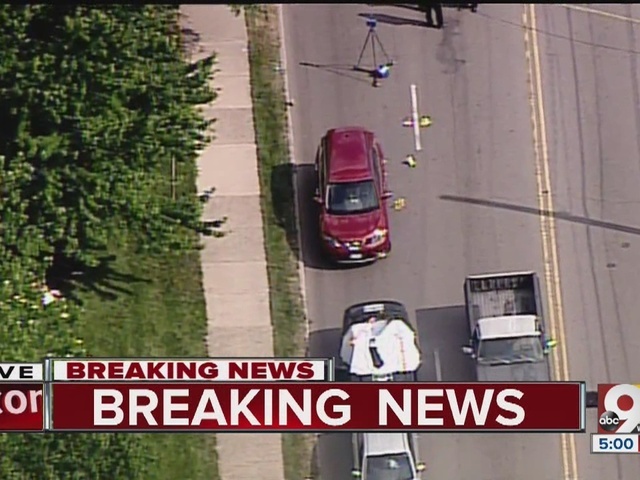 Several residents who talked to WCPO said they're glad three suspects were arrested but they're concerned that two people could be gunned down in mid-afternoon on a busy street. Randy Maggard said he heard the shots just outside his store, Maggard's Grocery. "We were just sitting in here and all of a sudden we heard 'bang, bang, bang' about six or eight times. Customer said it sounded like gunshots and I said, 'Yeah, it did.'" Maggard was one of the citizens who called 911. "People are angry. They're upset. We're here now after another life lost – senseless killing – and they've got to stop," said Pastor Greg Andrews of House of Deliverance Ministries. Gmoser pleaded with citizens to help police with information. "Just give us a tip. You don't have to give your name," Gmoser said. I-TEAM: All victims, suspects have prison records.